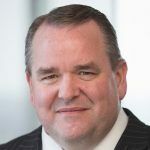 Jim Ross is a pioneer within the ETF industry. He joined State Street Global Advisors in 1992 and worked his way up to become executive vice president and chairman of Global SPDR, as well as fulfilling several other high-profile positions within the company. Ross talked to Jobs In ETFs about his involvement in launching SPY – now the largest and most liquid equity security in the world – and why he had always followed his conviction, even when those above him said that it might hurt his career. Jobs In ETFs (JE): You joined State Street Global Advisors in the early 90s. How much were you involved with the launch of SPY over three years and how big was that team? Jim Ross: It wasn’t that small a team – there was a State Street Global Advisors investment team, a State Street asset servicing team, lawyers, the American Stock Exchange – but each of us had a core group of five to 10 folks involved in this and as we got close to launching, there might have been more people looking at different processes. I got involved in the late stages of a project that had been going on for a couple of years, a lot of the high work had been done. The reality was we had no idea if it would work and be successful. Looking back, it might seem like we were geniuses, but at the time there was no certainty. The first questions were on product structure. Was this thing actually going to trade? Is this whole process going to work? We had tested it a lot, but would it work live and be used in the market place? It was not an instant success, and there were a lot of folks trying to get it into the marketplace, talking around the sales side of it, and frankly, from a State Street perspective, we just wanted to make sure it was operational. There were probably many hiccups back then but not as many people looking at it, so we could recover from those pretty quickly. JE: When did the product start to gain traction? And what did you learn from that experience? Ross: By 1995 it started to get some success and for several years the number of assets were doubling, from $500 million to $1 billion, from $1 to $2, $2 to $4, $4 to $8. We launched the Dow Jones Industrial product (DIA) at the start of 1998 and the sector SPDRs at the end of that same year, in partnership with Merrill Lynch. But even then, we were really targeting a trading audience – it was about tactical opportunities. We weren’t talking about portfolio construction with ETFs like we do today. Fixed income wasn’t out there; there were some foreign ETFs but they were not very well known at that time. It wasn’t until the early 2000s that you saw the growth of ETF product line-ups, both from State Street Global Advisors and some of our competitors, including Barclays Global Investors, and then we saw global growth. In 1999 I worked on the Hong Kong tracker fund project and in 2001 we launched products in Europe, Singapore and Australia. That was when we really saw the potential for distribution and product expansion. JE: In the 1990s you hadn’t been through the 2008 crisis yet, or seen some of the turbulent market conditions which tested ETFs. Was it scary to not have those past examples to point to and know how an ETF would fare during such a downturn? Ross: From our perspective, we felt very good about the product structure working in times of stress. SPY made it through some of the challenges of the tech crash in the late 90s. We had other products that went down dramatically, but this structure and the product worked, even if the sales weren’t there. An early test for SPY was a horrible time: when the markets re-opened after September 11. SPY was where people went to figure out where the S&P was going to open; it had real money trading on it. The index was still using September 10 closing prices on airlines and hotel stocks that hadn’t opened and indexes don’t adjust for that, but the market does. We put a chart together a few years after that, which showed where SPY was trading and where the S&P was using still data and how it came together about 90 minutes after the open. It showed that people try to predict where the market is, which makes sense because they are putting their capital at risk, and it was clear people were using SPY for price discovery. We’ve been through challenging times now with the global financial crisis and we’ve seen fixed income ETFs to continue to trade when the underlying fixed income markets were basically frozen. While that reflected the underlying market volatility investors were able to trade ETFs if they needed to. JE: You mentioned having to use punch cards to create the first orders for SPY. How did that work? Ross: That was our specialist firm, who used punch cards to process the 500 underlying equity trades they made for the first creation unit order in SPY. The actual order was sent in by fax, which was antiquated even then, but it worked. As I understand it someone was there all night to process the 500 punch cards because they hadn’t automated that process yet. It was one of the funniest things I’d ever heard, this poor clerk sitting there rolling 500 punch cards into the system. JE: As chairman and executive vice president you have to balance your time and focus between strategy and sales, speaking to investors, the media, board members and regulators. How do you do that day to day? Ross: Not well! I’m joking. We are all trying to do a lot every day, and continuing to get the word out on ETFs. Whether it’s regulators and key clients around the globe, or even law makers. Frankly I spend a lot of time focused on the media. ETFs are not something that everyone understands and it does require us to be pretty proactive. If we see someone talking about them in a light we don’t agree with, I want to have a conversation with that person. There’s also a team here supporting the SPDR business and I spend a lot of time with them, mentoring them and getting them to expand the ETF knowledge that we have. JE: You’ve written about evolution in the ETF industry, i.e. blockchain, as well as the increasing focus on governance. How can the two develop in parallel without stifling each other? Ross: When we see opportunities, which can bring about efficiencies, or where we can leverage technology, we need to bring the regulator along with us. We don’t want them to play catch up; we want them to be as educated as we are on it. That’s one of our jobs and one of our responsibilities: making sure that we’re thinking of new things and engaging with our regulators around the globe. The US is a little easier for me, as I spend a lot of time in Washington, and it’s often about education and helping them understand the the benefits and potential risks of a new product, a new idea or inserting a new technology. If you look at the changes which have happened over the last 25 years, it’s the same products that are listed and traded: SPY is the largest and most liquid equity security in the world, but it trades at much better spreads than 25 years ago. The market has become much more efficient and that’s good for the end investor. Questions for us tend to focus on the esoteric ETFs or a certain ETF that didn’t work – I say let’s go back to the basics. Traditional ETF products like equity and fixed income index ETFs have been around and tested for a long time. From a media perspective, that might not be the most exciting story. They want to focus on what doesn’t work. I get that but it’s one of the challenges we have is to make sure that on a broad basis we are educating on all aspects of ETFs. JE: What changes are you most excited about in the industry at the moment? Ross: I’ve seen a lot of change. The original vision was probably to have four ETFs here in the US – obviously we didn’t get that vision right. We built something that we thought was for one group of investors but when we figured out, years later, the utility it had for all investors, it allowed us the flexibility of really bringing ETF solutions to a wide suite of investors. As we went down the road, a lot of people said, ‘Oh, you can’t do that for gold, these are only equity products.’ Well, we figured out gold. We figured out how to take ETFs to many foreign markets. We figured out a lot of different things. The number of naysayers was substantial. When I’m faced with similar situations, I will push even when I have people more senior than I am telling me it might not work and that it might hurt my career. JE: Is that attitude partly what drove you to become executive vice president and chairman? Ross: I got away with it a lot more than I should have back then! It was determination: if I saw something that I thought would work, I wouldn’t back down just because someone more senior said it might be a mistake. Having said that, I listened to the opposing view and I thought, ‘Am I missing something here? Is there an angle I’m not getting?’ I spent time thinking about it with my team. But if we had conviction, I would try and push it. Part of my job is selling the idea. There’s no question that that’s part of my role. JE: Is that the advice you give to young people starting out now, to have conviction? I tell younger folks to talk straight, do it with conviction and listen to the other side. It wasn’t my strongest skill at the beginning. Some people take that message as a license to sound off, but it’s not. Even if there’s a disagreement, you should be professional. JE: What will you be speaking about at the Inside ETFs event in Canada? Ross: We will be looking back at the 25 years of SPY, so there will be a bit of the history and the success of the industry. I will also share my views on the future success of the industry, which we can see as the user base expands. JE: Where is the statue of the Fearless Girl now? This was the project in 2016 to launch the SHE ETF that focused on gender diversity and getting more women on boards. Ross: The statue is currently where it was originally placed and will move to the New York Stock Exchange [by the end of 2018]. JE: The Fearless Girl was a great project. Ross: Fearless Girl was a phenomenal thing. It might be one of the things the firm did which I’m proudest of. It wasn’t just about the statue but also sending a message to companies about how we would vote from a corporate governance standpoint. We’ve updated our stats on that and we have seen engagement with companies. And we have voted against companies that haven’t reacted or taken on that challenge, to be candid with you. The goal was to raise the issue and start a conversation and it has started, so we feel good. Ross: 100% agree that we need to look beyond just the board to address gender diversity shortcomings at the companies we invest in. The board is a starting point, but research shows that companies with greater levels of female leadership, from the board to the c-suite, perform better in the long-term. And the challenge with all of this is getting the data. Gender diversity is one of the few kinds of diversity you can get data on. That is why this year we are asking companies in our portfolio to disclose gender diversity at all levels of management. We will begin screening and engaging with companies in the STOXX 600 and FTSE 350 indexes on these issues in 2018. During engagement we will seek to understand company practices that promote diversity. And when you also think about ESG, the ‘E’ is very important but how do you get data on that? That’s why we’re pushing some of the index providers to tell these companies that they won’t be in the index unless they hand over this data, so we can better measure these companies. It will also inform our view of the company, both from an active purchase standpoint and an index standpoint. I’m happy in terms of the progress we’ve seen but there’s a lot more to do.